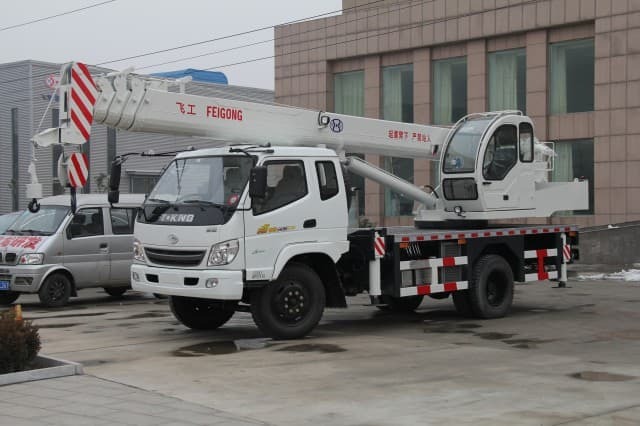 For many centuries, cranes have functioned as powerful machines capable of lifting many tons of objects with ease to differing heights. 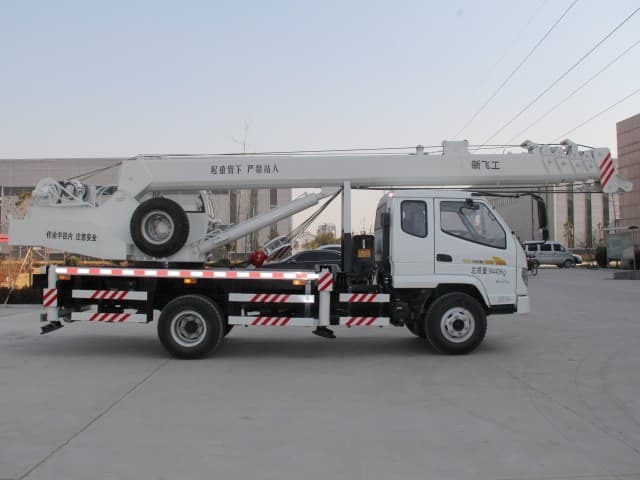 They have been used for the construction of buildings, the loading/unloading of cargo from harbors and for lifting vehicles that have fallen from ditches, etc. 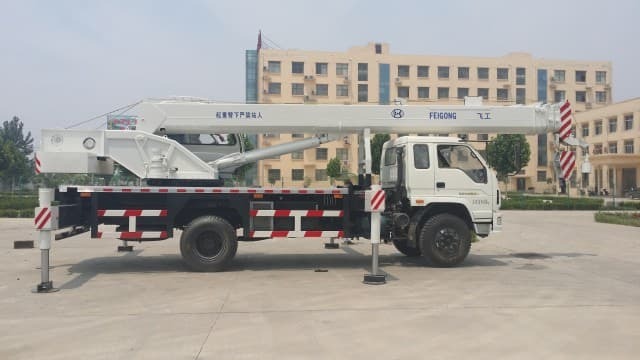 Most people have become aware of the usefulness of cranes due to their strength and agility; in this article we will explore how cranes work and where they acquired their functional power. 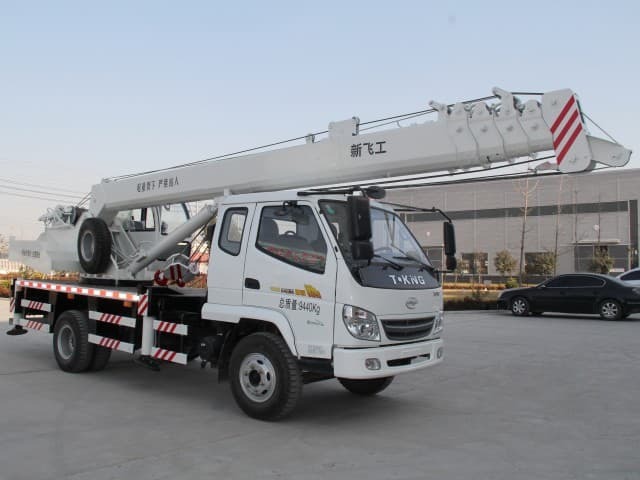 Cranes can easily lift objects because of their hydraulic system. In the realm of physics, such operations are supported by Pascal’s Principle of Transmission of Fluid-Pressure. According to this law, “Pressure exerted anywhere in a confined incompressible fluid is transmitted equally in all directions throughout the fluid such that the pressure ratio remains the same.” In such systems, the force that is directly applied in one cylinder is transmitted to another using incompressible (high-pressured) fluid in the form of oil. Hydraulic systems work by forcing non-compressible fluid from one cylinder to another to make them functional. This can be best explained by using a simple example of such a method. Two pistons are placed in two cylinders connected together with a non-compressible fluid-filled pipe. When downward physical energy is applied to one piston (the input one) the second piston (output one) is pushed in an opposite (upward) motion because of the force that is transmitted by the oil in the pipe. Hydraulic systems have the power to move heavy loads through force multiplication. The size of the cylinder on the output one is larger compared to the cylinder on the input one. This way, when downward physical energy is applied on the input piston it will be multiplied when the liquid reaches the second cylinder. If 200 lbs. of downward force is applied on the input piston, a 1000 lb. upward force can be applied on the second cylinder. 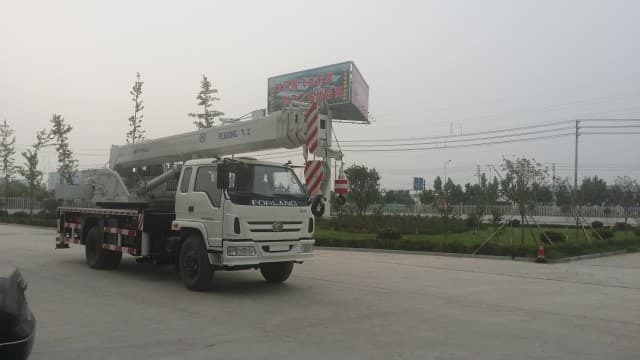 Of course, it must also be considered that the input piston must travel further (be depressed further) in order to move the output piston in an upward motion. Multiplied a great deal, this simple process allows cranes to lift heavy objects. One important thing to mention is the influence of air anywhere within this system. Any presence of air within the system causes the exerting force to be “wasted” by trying to compress any air bubbles rather than doing the intended work of compressing the fluid and moving the second piston. 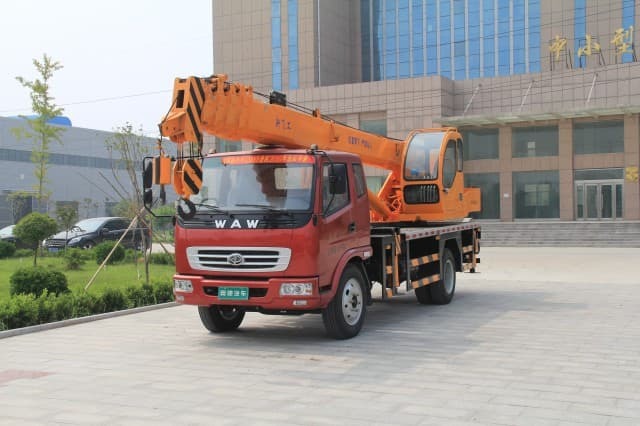 The crane’s lifting operation uses one of two types of hydraulic pumps – two-gear and one-gear versions. Commonly, cranes use the two-gear version to pressurize the oil and multiply the hydraulic pressure exerted by the machine. 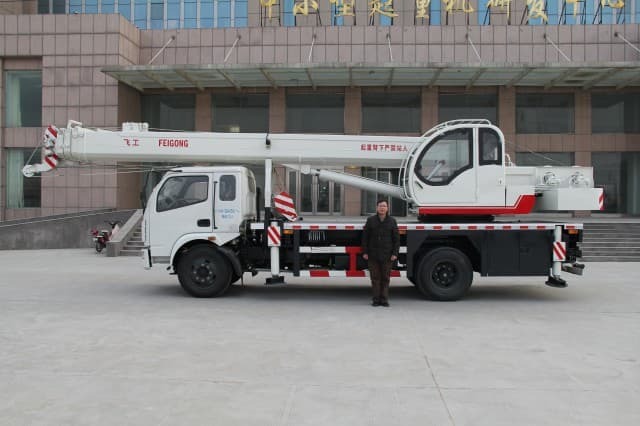 The two-gear versions have three different important components, namely: the main pump, the pressure counterweight pump and the steering pump. 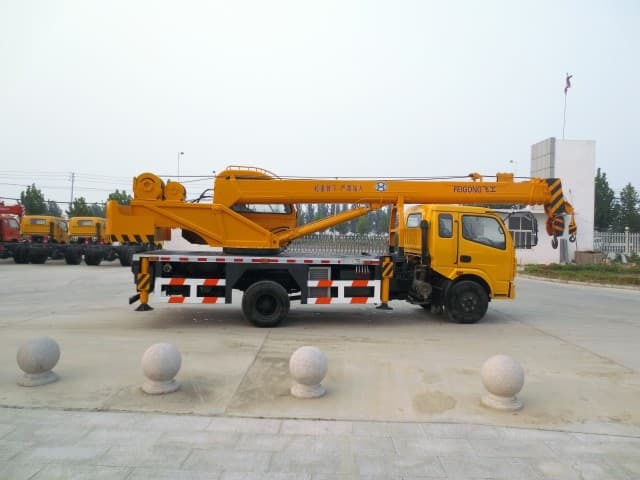 The main pump is capable of raising and lowering the crane boom. It is responsible for lifting more weights compared to the other parts of the lifting apparatus. 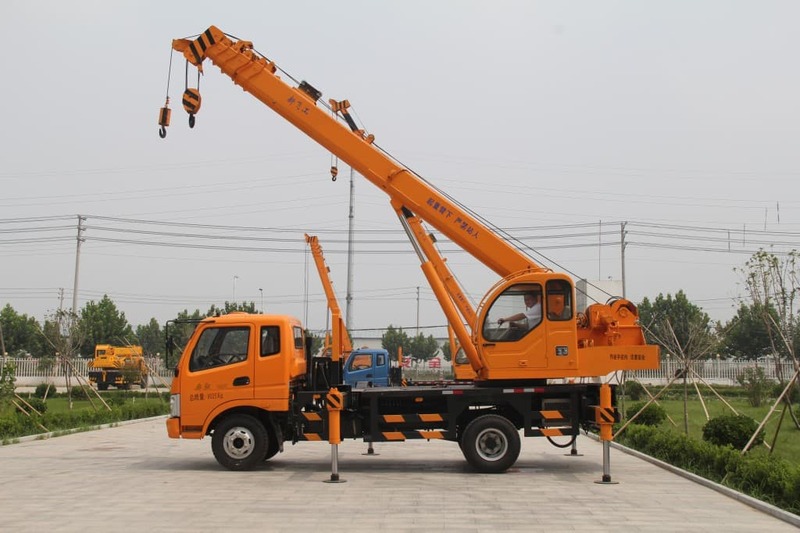 Hydraulic systems are simple yet very powerful tools that can perform heavy-duty tasks. 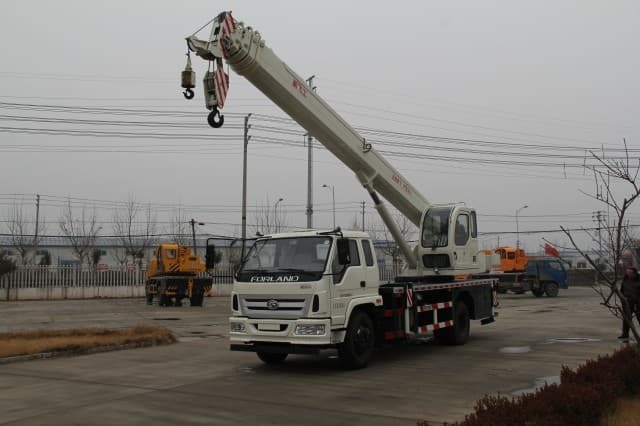 The procedure uses fluid to produce tremendous force movement so that the crane trucks can lift heavy objects. It uses force through fluid to work – it is as simple and powerful as that!